The EPIC instrument is 30-centimeter (11.8 inch) telescope that measures 10 channels of ultraviolet and visible areas of the spectrum. It’s one example of a series of instruments Lockheed Martin has developed for NASA and NOAA to reveal more about our planet, including the Global Lightning Mapper for the GOES-R satellite. [SatNews] A new Lockheed Martin [NYSE: LMT] instrument is about to make a world of difference for climate scientists. 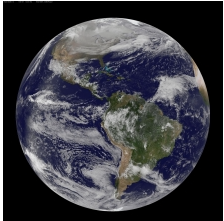 Launched successfully today aboard the Deep Space Climate Observatory (DSCOVR) spacecraft, the Earth Polychromatic Imaging Camera (EPIC) will provide imaging of the entire sunlit side of Earth in one view, something that hasn't been done before from a satellite. Today, real-time Earth images are patched together from various satellites. With the whole-disk image—one that shows the entire face of the planet in one shot— scientists will have a broad view of the planet’s atmosphere at work. Using EPIC, scientists can monitor clouds and atmospheric particles moving across hemispheres, which will improve models for storms, droughts, dust, pollution and global climate. The instrument measures and tracks ozone amounts, aerosol particulates, cloud height, vegetation properties and ultraviolet radiation. EPIC is a NASA-supplied instrument installed on the National Oceanic and Atmospheric Administration (NOAA) DSCOVR spacecraft. 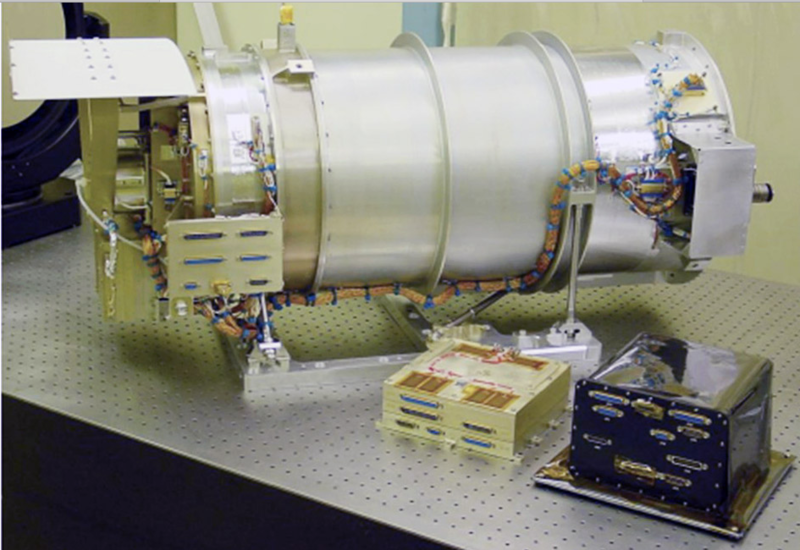 While other parts of DSCOVR will focus on space weather, this optical payload will gaze at Earth’s atmosphere to monitor weather events. It will be placed far into space, at a fixed orbiting position between the Earth and sun so it can capture the wide view of the planet in sunlight. EPIC’s 30-centimeter (11.8 inch) telescope measures 10 channels of ultraviolet and visible areas of the spectrum. Despite its distance, EPIC images will have a resolution of between 25 and 35 kilometers (15.5 to 21.7 miles). Lockheed Martin has helped NASA and NOAA reveal more about our planet through Earth science instruments developed, produced and tested by scientists and engineers at the Advanced Technology Center in Palo Alto, California. For example, the Global Lightning Mapper instrument aboard NOAA’s next weather satellite, GOES-R, will examine the atmosphere for earlier storm warning. The company continues to develop other climate-monitoring capabilities from space, such as observing and assessing greenhouse gases.